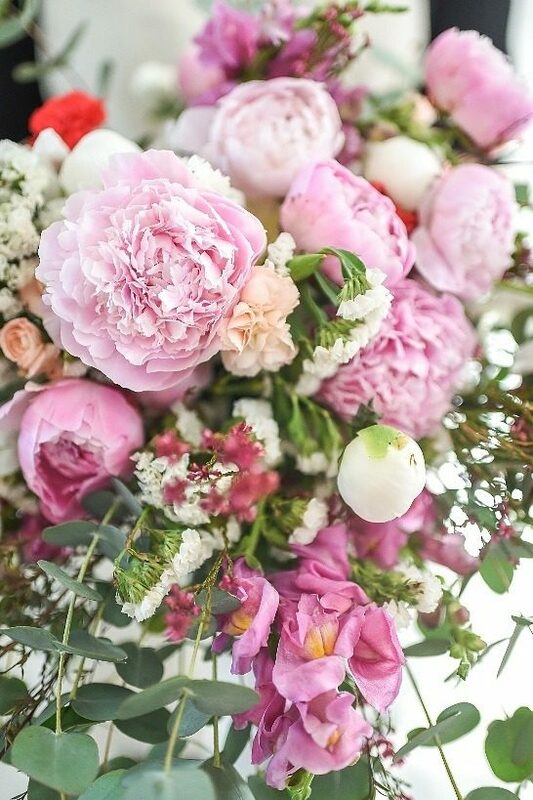 Here is some of our favourite florals from September… Hope you enjoy it! We were lucky enough to design a bridal bouquet for Christine and boutonniere for Reinard and WOW look at these gorgeous images by Thunder & Love Photography – just gorgeous! We loved this burgundy bouquet with garden roses, cymbidium orchids, hydrangeas, rananculus and gorgeous anemones. We loved being part of this fun and colourful shoot conceptualised by Erin from Happinest. We loved this big, bright and beautiful bouquet filled with poppies, anemones and other seasonal blooms. Thank you to Hayley Takes Photos for the gorgeous images, The Bello Studio for the perfect venue, Nixx Milner for being such a beautiful model and pulling of that Janita Toerien creation with such grace. I loved being part of this editorial, conceptualised and photographed by Debbie Lourens . I loved styling this arch and taking in the simplicity of it all. The arch was dressed with beautiful kooigoed and other foraged beauties. The bouquet featured poppies, anemones, dried artichokes and other foraged treasures. Thank you Clarita Smit for the gorgeous make up & hair, Alana van Heerden for the beautiful dress, Paula for being the perfect model and The Overgaauw Shed for the beautiful setting.